Organize your unforgettable stay in peace and enjoy a special 15% discount on the standard rate. 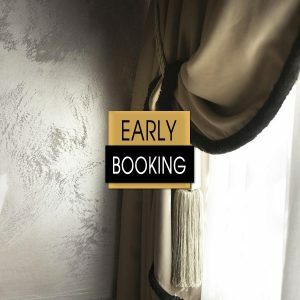 Early Booking offers a minimum stay of 3 nights and a prepayment is due. The penalty is 100% after the reservation and the booking is not refundable.